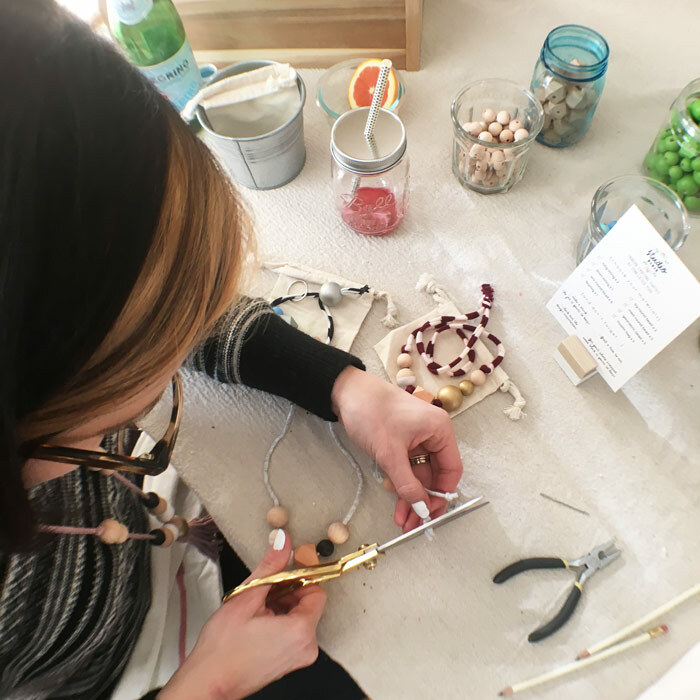 Join Erica, Founder of Conflicted Pixie, on Sunday, March 13th for a modern crafting workshop where you will work with hand painted + natural wood beads and graphic + colorful jersey yarn to create one-of-a-kind necklaces and key rings. No skill level is required but creativity is a must! Crafters will be provided with enough material to create two necklaces and one key ring, choosing your favorite color combos and patterns, along with muslin bags for packaging your creations. Register with your friends! We will snap & print a photo of you during the workshop to display on your color-dipped photo cube parting gift. And you can use your special discount to shop an in-person selection of Conflicted Pixie goods during the workshop.